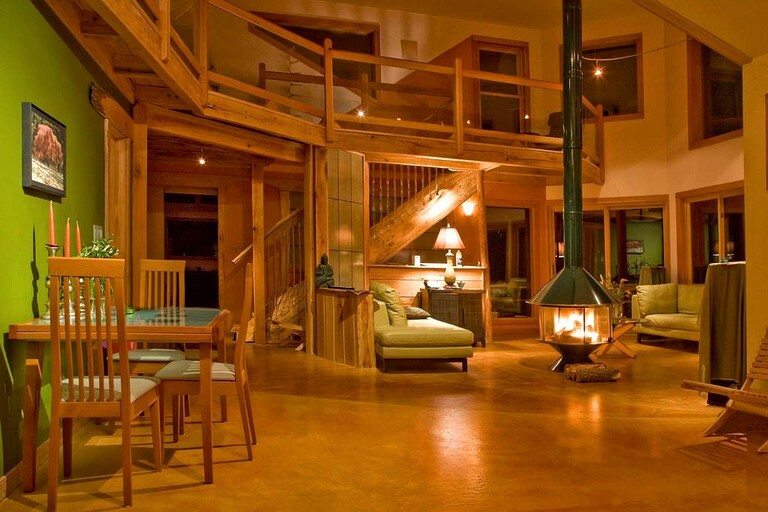 This luxury mountain cabin rental is located on the Rockfish Gap River in Nellysford—the perfect location for a getaway near Charlottesville, Virginia. 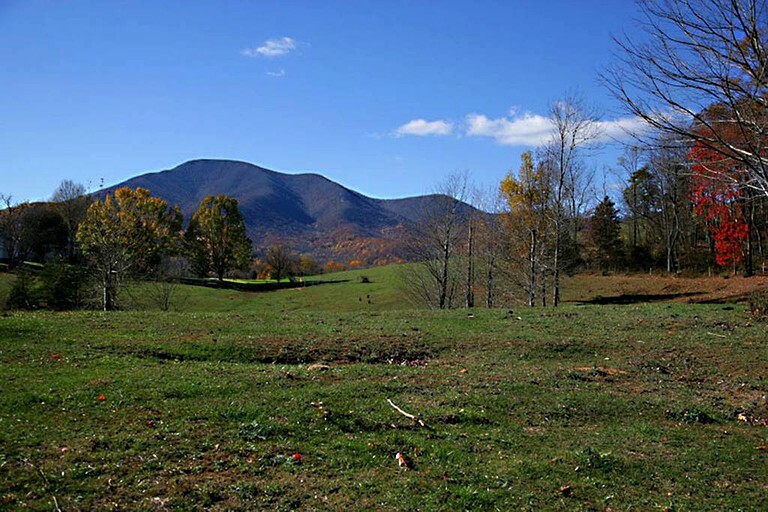 It is nestled in the middle of a quiet forest next to the river, a short distance away from Wintergreen Resort and Virginia's famous Shenandoah Valley. 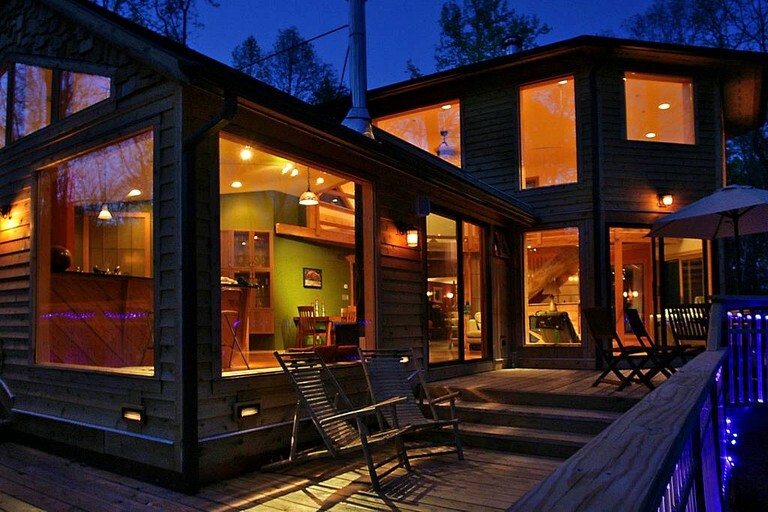 The cabin can accommodate up to 10 guests, making it a perfect nature retreat for families or groups of friends. Couples can sleep on a queen-size bed in the master bedroom, or another queen-size bed in the second bedroom. 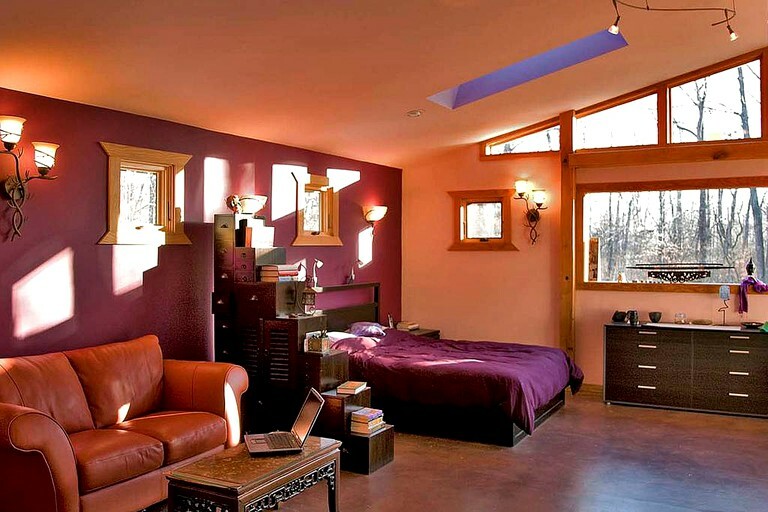 The second bedroom also includes a twin sofa bed for any small children. 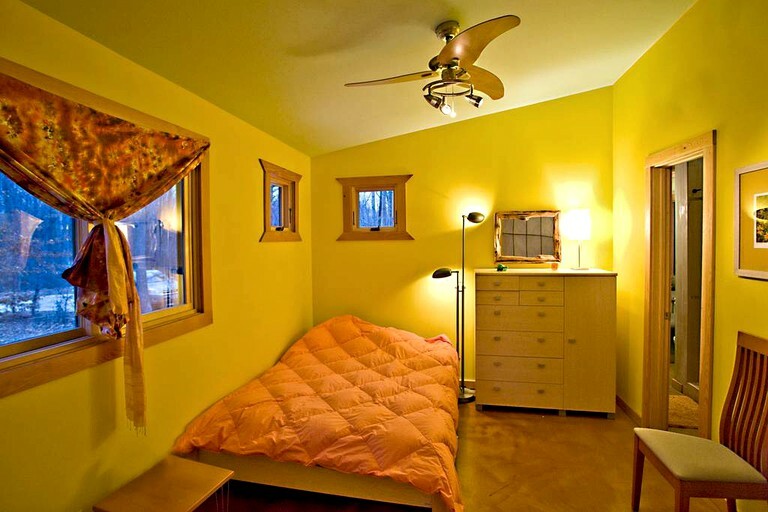 Both bedrooms include a nightstand with an alarm clock, a dresser, and a closet. In the lounge downstairs, there is another queen-size bed with three full-size sofa beds. Two twin air mattresses are available to sleep any additional guests. The ensuite master bathroom contains a toilet, a double vanity, a Jacuzzi bathtub, and an oversized, dual-head, walk-in shower. The guest bathroom contains a toilet, a sink, and a shower. Luxury linens, organic towels, toiletries, and hair dryers are provided. 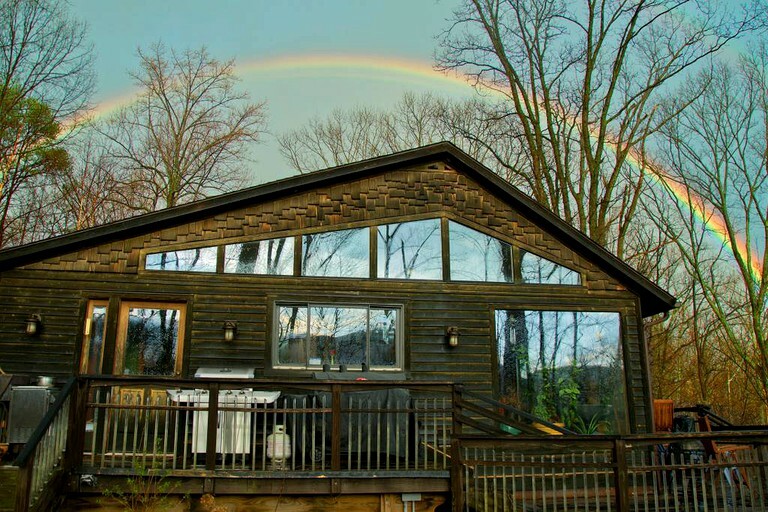 After a long day of swimming in the Rockfish Gap River or hiking through the Shenandoah Valley, guests can relax on the nice furniture in the spacious, airy living room and enjoy the spectacular views of the mountains and forests outside. 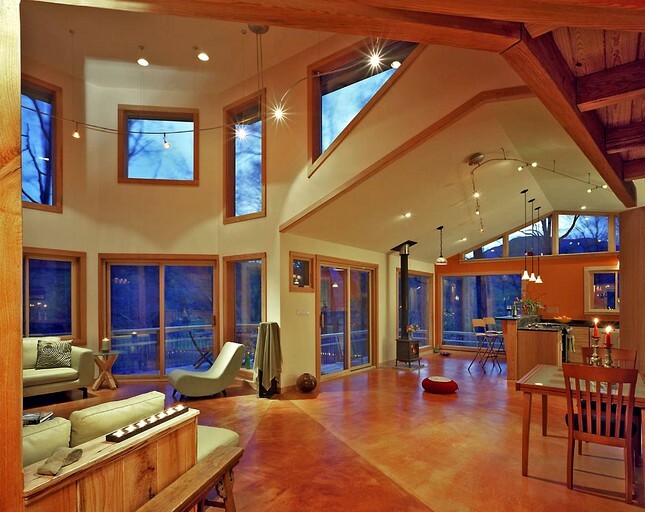 They can watch TV or curl up in front of the wood-burning fireplace. Firewood is provided. The living room opens up to a fully-equipped kitchen and a dining room that can seat up to 10 guests. The kitchen comes with a fridge with a freezer, a gas oven, three wood-burning stoves, a microwave, a dishwasher, and a toaster. In the mornings, guests can use the tea kettle, coffeemaker, or juicer. Dishes and cooking utensils are provided. After dinner, families can gather in the game room to play ping-pong, or watch a DVD from the video library on the widescreen TV in the home theater. 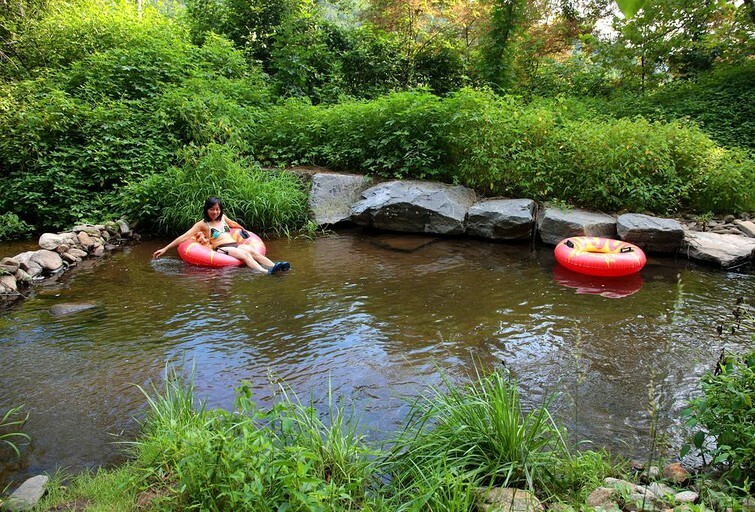 Children's toys and water tubes for floating down the Rockfish Gap River are provided. There is a laptop-friendly desk with a high-speed Internet connection for guests who need to catch up on business emails during their stay. For guests' convenience, there is a laundry room with a washer, dryer, iron, and ironing board. Other amenities include heating and air conditioning, Wi-Fi, cable and satellite, a stereo, and in-floor heating. 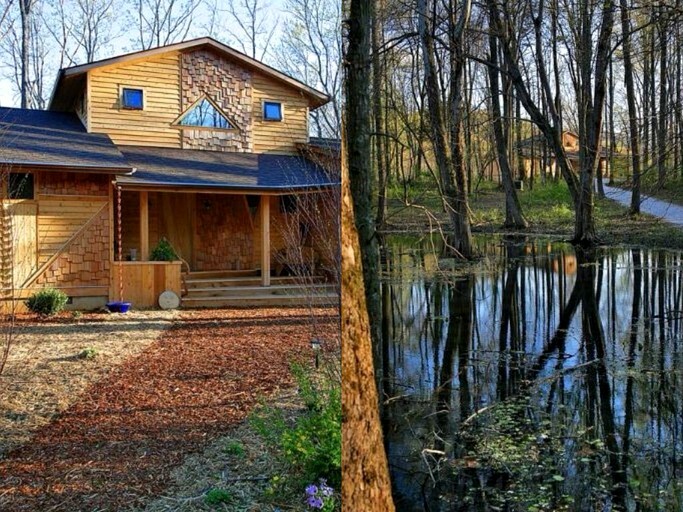 The cabin is nestled on a couple acres of private land with nature trails, Buddhist gardens, hammocks, and frog ponds. 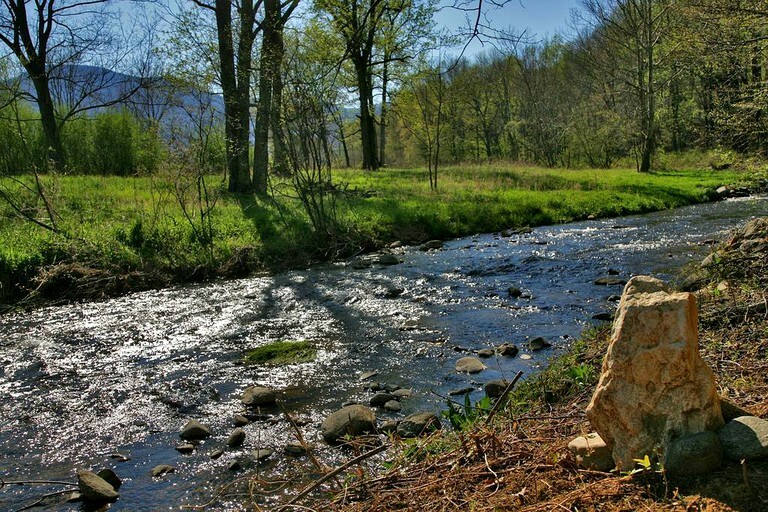 Guests will have easy access to the Rockfish Gap River that runs next to the property. The cabin comes with a front porch and a private back deck with a barbecue. 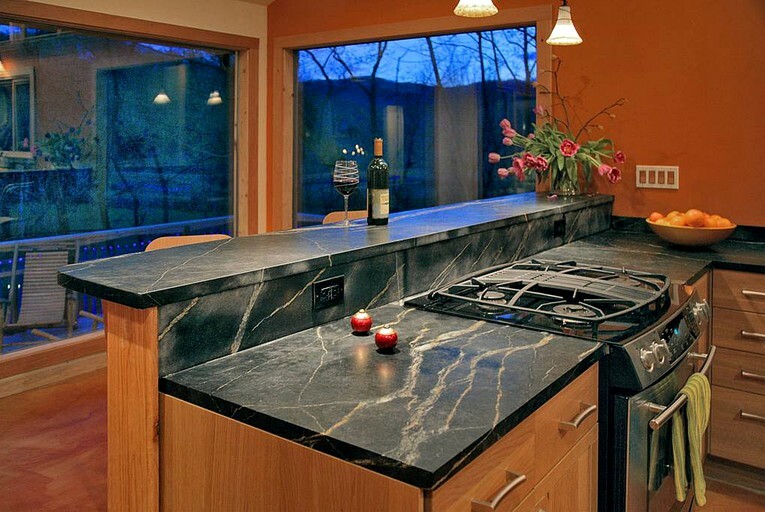 Inside, there is a living room with a fully-equipped kitchen and a dining room. 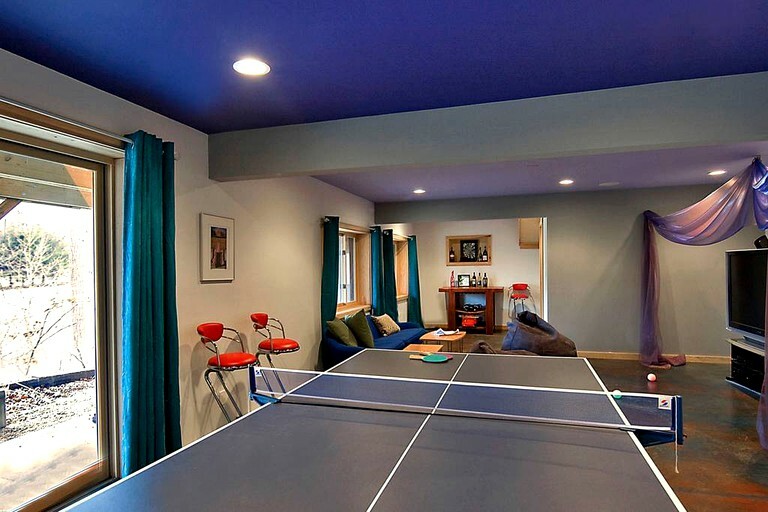 There is also a game room with a ping-pong table and a home theater. 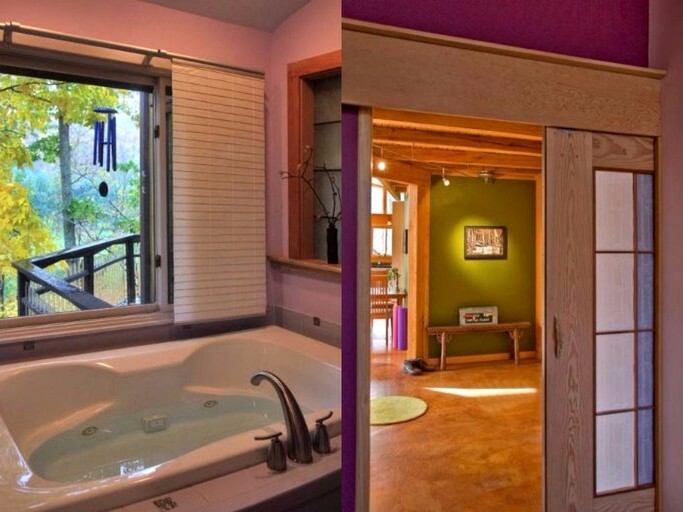 The master bathroom includes a Jacuzzi bathtub. Guests will have access to free Wi-Fi, and a laundry room with a washing machine and dryer. 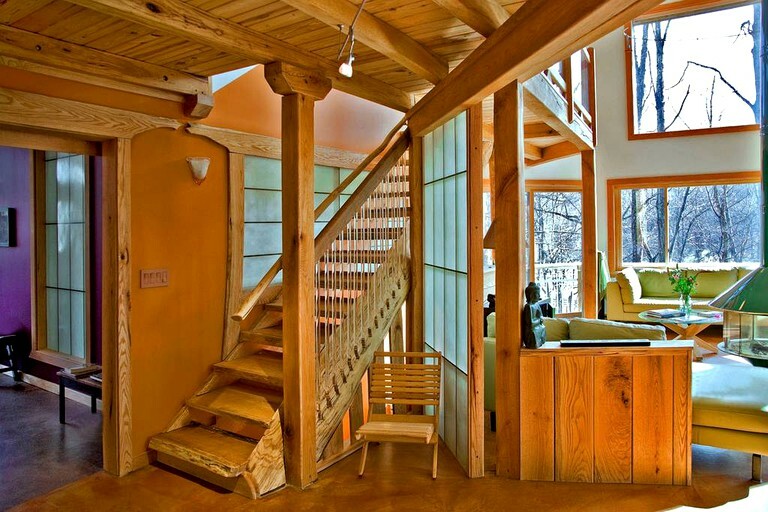 Guests will have access to many scenic nature trails winding around the cabin. They can walk, hike, or ride bikes by gardens or through the Ironwood Forest. There is also a Buddhist garden where guests can meditate, do yoga, or sip a glass of mai-tai. The gardens and frog ponds are also excellent for watching birds and wildlife. Guests can also climb the rocks around Great Falls for spectacular views and photos of the surrounding forest, meadows, and Shenandoah Mountains. Additionally, guests can swim in the Rockfish Gap River, which flows near the cabin. For more adventure on the water, guests can head down to the James River for canoeing, kayaking, fishing, boating, and whitewater rafting. 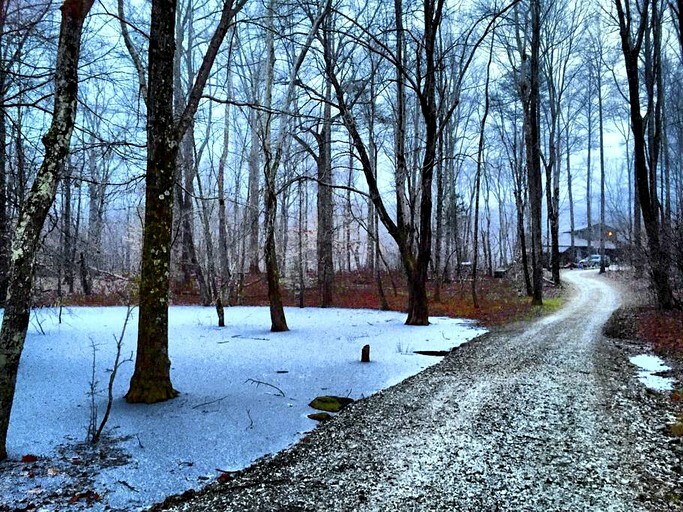 The cabin is a few minutes away from the popular Wintergreen Resort. 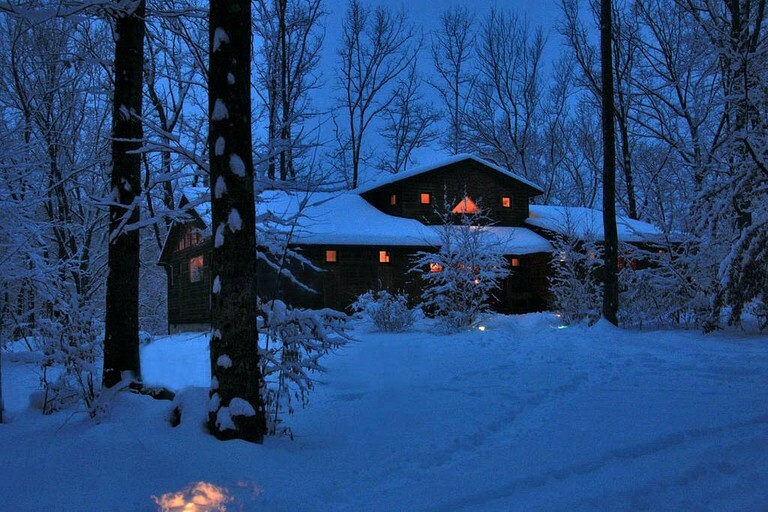 During the winter, guests can ski and snowboard down the Blue Ridge Mountains. Families can also ice skate or ride snow tubes together. The resort features a spa where guests can treat themselves to massages and other rejuvenating treatments. In the summer, guests can fish on a pristine lake, play golf or tennis, or go horseback riding along more scenic wooded trails. Nellysford is a small and charming historic town with many shops, restaurants, and antique stores. Guests can tour wineries and breweries, or stop at local orchards to feed animals, pick fruit, and buy fresh cider. 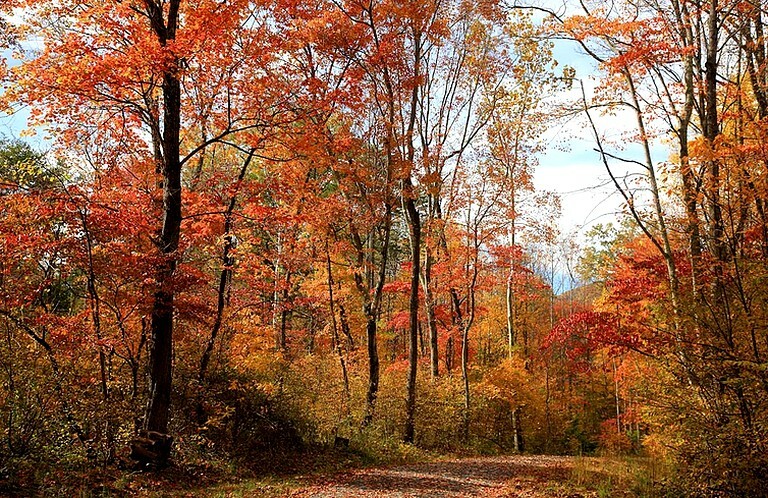 Guests traveling in the fall will love the breathtaking foliage on scenic drives through Nellysford. Additionally, guests can travel to the nearby city of Charlottesville for more shopping and dining, as well as museums, art galleries, bars, and nightclubs. For more outdoor adventure, guests can go rock climbing and rappelling in Humpback Mountain, caving in the Luray Caverns, or hiking through the Shenandoah Valley. 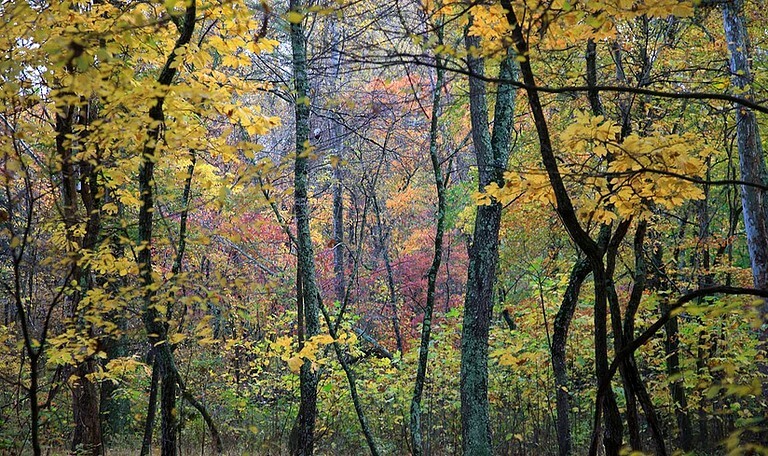 At Shenandoah National Park, guests can go hiking, cycling, horseback riding, fishing, and bird watching. Pets are welcome but are requested to not be on furniture. If guests have an older, long-haired dog, the hosts request that guests do a little vacuuming before check-out. It is also requested that owners are notified of pets, size, and nature. For more than one dog, there will be an additional $100 fee. 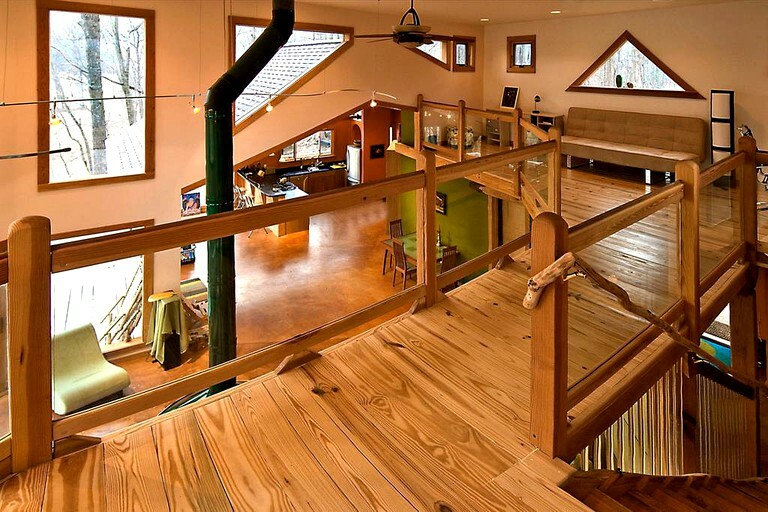 The cabin is suitable for family vacations and group retreats. It is also suitable for hosting weddings and other special events.